Note: PayPal used for payment processing, but accepts credit/debit cards. Or get the print version of the book for $14.99 on Amazon. As a bonus, get a free copy of the Kindle version when you buy the print edition. If you could bring more than 40 of the world’s best volleyball coaches together, do you think they might have some interesting things to say? That’s exactly what we’ve done with the Volleyball Coaching Wizards project, and this book shares some of those insights. Who are these great coaches? We can’t list all 40+ of them, but here are some of the ones whose wisdom, experience, and insight can be found in this book. 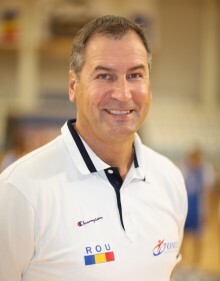 Jan De Brandt: Has coached professionally in several countries and internationally for Belgium and Hungary. Winner of the European League, CEV club competition medals, and domestic league and cup titles. Sue Gozansky: Winner of 3 National Championships and nearly 700 NCAA collegiate matches in 39 seasons. AVCA Hall of Fame inductee in 2006. FIVB coaching instructor. Multiple book author. Giovanni Guidetti: Winner of multiple CEV Champions League gold medals and FIVB Club World Championships. Led the Dutch Women’s National team to the medal round of the 2016 Olympics and Turkey to silver in the 2018 Volleyball Nations League. Mick Haley: NCAA Division I national championships and 16 conference titles with two different universities. Multiple 2-year college national titles. More than 1000 total victories. US Women’s National Team Olympic coach. AVCA Hall of Fame. Vital Heynen: 2014 World Championships bronze medalist as German National Team head coach. Four league titles, 5 Cups, and 4 Super Cups in Belgium. Two CEV Cup medals. Additional national team coaching experience with Belgium and Poland. Has also coached professional teams in Turkey, Poland, France, and Germany. Anders Kristiansson: Winner of 26 domestic men’s and women’s championships in his native Sweden, 15 in Belgium, and 3 in Greece. Reached the CEV Champions League Final Four on four occasions – 2 finals. Coached the Swedish National Team to silver at the 1989 European Championships. Carl McGown: Over 40 years experience in the USA National Team program; 13 seasons as head coach at BYU, winning 2 national championships; Swiss league and cup titles; AVCA Hall of Fame. Tom Tait: Father of the Penn State volleyball programs – both men and women. 6 NCAA tournament appearances with the men, including a trip to the finals. Member of the AVCA Hall of Fame inaugural induction class. Professor of exercise science and coaching. Tom Turco: Winner of nearly 20 state high school championships. AVCA National Coach of the Year in 2008 and NHSCA National Volleyball Coach of the Year in 2012. Teams won a record 110 matches in a row from 2003 to 2007. “It’s a great resource to prompt you to question your coaching approach and grow your skills.” – Gary Hutt, VolleyScience. “I like the anecdotal style. Having practical information from coaches and then reflect on the success is a good style for me.” – Steve Santonastaso, University of Rhode Island head coach. Take your volleyball coaching to the next level with insights from those who are already at where you want to be!